Carol and I were in a World Lit class that included a subcourse called Perspectives on Death. She was a very lively person, so it was a tragic shock when she was killed by her estranged husband (I believe his name was Steve Gibson)in Springfield, in 1984; he killed her boyfriend first, then her, then turned the gun on himself. The incident left their only daughter orphaned. The respective families held no wake for Carol or Steve and had (very) private funeral services; they probably feared morbid curiousity after the newspaper coverage. There wasn't even a burial site announced, if any (although I think I came across Steve Gibson's headstone in Ferncliff Cemetery). "I know that she was giggly, loyal to her friends, loved her horses, and appeared somewhat quiet and shy, but would stand up for herself if needed without a problem. She was not afraid of much, and I always knew she was a much stronger person than me. We were very close in age (20 mos.) therefore not so close growing up. I was much more in your face and outgoing, pretending to have the inner strength, but knowing all along it was she who had the balls. Her quiet strength was a challenge for me when we were young. We bickered as some siblings do, but as we grew up, we figured it out. Actually 1 week before she died, we had an amazing 2 hour long conversation on the phone about how good she was feeling about life and leaving her ex-husband. She was really coming into her own, and was very excited for her future and her daughter: Katy is all grown up now and lives in Springfield with her husband and 2 kids. Carol lives on!!!" Carol had a class and a grace beyond her years. She was loyal to her friends and loved them with all her heart. She is thought of often, with a smile and a tear. I am so glad to hear her daughter is well and has a family of her own. I hope she knows how much her mother was loved. I hope my original post didn't come across as cold. As sometimes happens, once we graduate we often go our separate ways and lose track of each other (for instance, I didn't realize Carol had married). When I first read about what happened to Carol, it was in the Dayton morning newspaper at work; there were no published photos, so at first I was wondering if I knew her. When I got home from work and saw Carol's graduation photo on the front page of the Springfield afternoon paper, my reaction was "Oh, no!" I wanted to pay my respects, and I probably could have sent a sympathy card to the funeral home involved with handling the arrangements. But perhaps understandably, all of the other usual routes of condolence communication had been closed off. Please know that all these years later I share in your loss, and I am glad that Katy grew up OK; I'm sure she was surrounded by lots of love. Have fun at your reunion when it's your turn. Still difficult after so many years to think of Carol's death. I look at her photo and dears well up after all this time. We were childhood friends by neighborhood proximity and through the Episcopal church. Also, my mother worked for her father in his medical office while we were growing up so we also had that layer of connection. Carol was a very bright and thoughtful person who I felt was interested in many things. One recollection I have was that she was interested in cooking and showed me how to make chicken cordon bleu. Keep in mind we were in high school and my skill set in the kitchen ranged from toast to cold cereal! I wanted to clear up a few incorrect details in some previous posts. 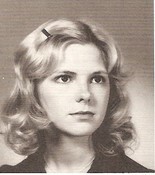 Carol passed away in 1983, not 1984, and the other victim was NOT her boyfriend. Her daughter was immediately with family after the incident and was well loved and cared for. We had a big funeral, were not afraid of anything, and did indeed bury her in Ferncliff. Just wanted to set the record straight and hope that all memories of Carol are true and kind.